Customer journey mapping is hard. Every marketer who has tried knows this. And technology has been a mixed blessing here, because what technology gives on the one hand: additional information, mapping tools, and customer data platforms, it takes on the other. 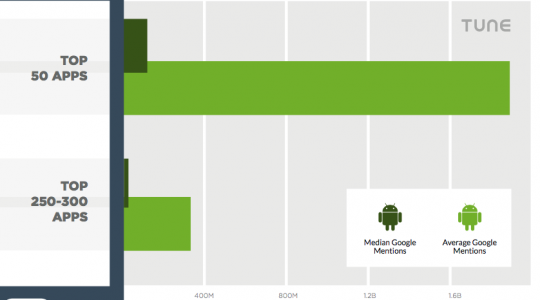 Mobile, cross-device journeys, cross-platform journeys … stitching it together is hard. Having a single marketing system of record is a big missing piece. But there are also some big changes happening to martech and adtech which make customer journeys challenging. We surveyed 647 marketers about the value, technology, and problems with customer journeys. We also asked marketing influencers — including media, analysts, CMOs, and journalists — how customer journeys work, what’s wrong with them, and if marketers should even bother. As we surveyed marketers on customer journeys, mapping, and technology, more than a few interesting — and unexpected — insights emerged. And, some new opportunities popped up. When 647 marketers rank brand advertising and performance advertising by where they’re most useful in the customer journey and the results are almost identical, that indicates something: we’re entering an era of marketing accountability. 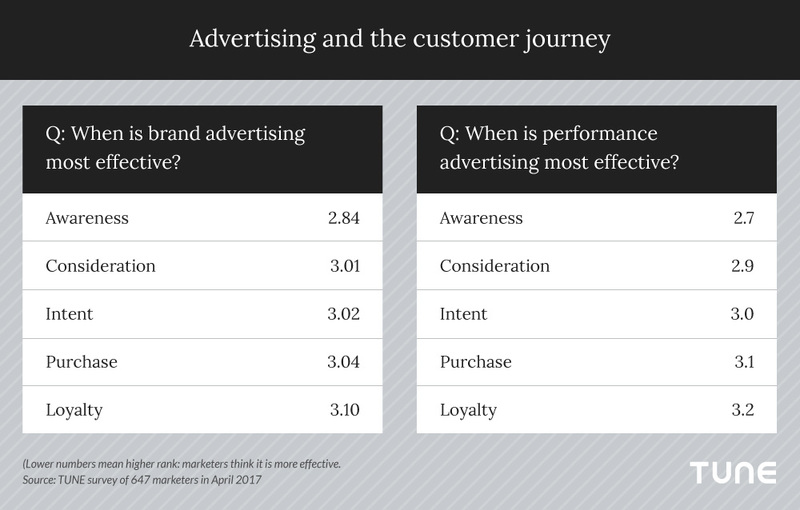 Clearly, marketers are thinking that brand advertising and performance marketing rank equally in the traditional awareness stage of the customer journey. Also clear: Marketers now expect brand campaigns to return positive ROI, not just positive vibes. And performance campaigns need to boost the brand, not just make money. By far, awareness and loyalty are marketers’ favorite areas of the funnel. These stages of the customer journey get most of marketers’ first-place votes when we asked them where both performance and brand advertising are most useful. What about consideration? Intent? Purchase? Marketers are largely ignoring them. For brand advertising, these three stages — 60% of the customer journey — get only 42.4% of first-place votes. And for performance advertising, this 60% of the journey gets only 37% of the first-place votes. So maybe there’s a hole in the funnel … but it just may be warranted. That said, there’s also something to be said for the point of purchase where performance advertising can be most effective — and where we do see a bump in marketer interest. And, arguably, our modern focus on nurture marketing helps carry prospects from awareness into loyalty. Out of all a company’s many functions and divisions, marketing stands isolated as a core and key function that does not have a single system of record. Finance has a system of record: whatever accounting software the company has chose. Sales has a system of record: CRM. And business management, HR, and other divisions have a system of report, an ERP system. 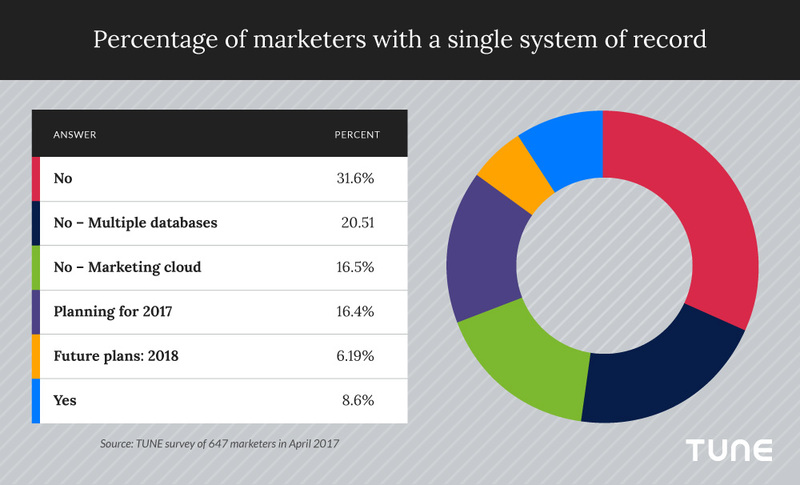 Less than 9% of marketers have a single marketing system of record. Modern marketers deal in data. Prospects, customers, and fans are defined by who they are, how they feel about the brand, and what they do. But most marketers completely lack the central glue that ties together all the information they have: a system of record. 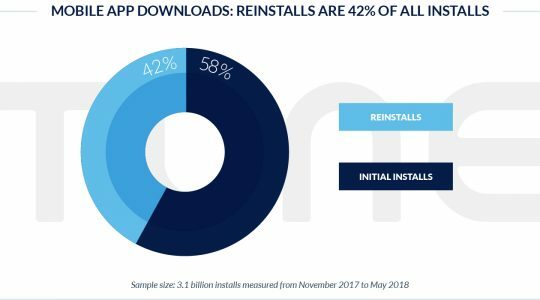 Modern customers pop up on companies’ websites, in their mobile apps, on their social feeds and outposts, in their email, in their stores, and in multiple other places both digital and offline. 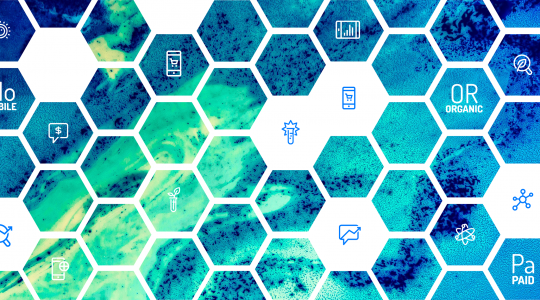 In addition, smart marketers look for data deeper into the customer journey, post-sale, so they can measure customer satisfaction, Net Promoter Score, and likelihood of customers becoming advocates. So marketers need data about product usage, service issues, and more. All that data needs to come together in one place — literally or via API — so marketers have a complete view of their customer across the entire marketing and product lifecycles, and can make it actionable via technologies of engagement in mobile, on the web, in email, and all the other ways that companies communicate to prospects and customers. That is a single marketing system of record. The reality, however, is that very, very few marketers actually possess it today. The topic next time in part five?